“Bannenberg & Rowell: the most famous name in yacht design” reads the website. The award-winning firm is understandably confident in its abilities after almost five decades years in the business and a slew of successes. Some of its most notable coups are its five World Superyacht Awards, a QE2 commission, designing yachts for Malcolm Forbes – father of the eponymous magazine – or that one time when Beyonce and Jay Z holidayed on its 65 metre ‘Galactica Star’ yacht. Most famous name seems about right. With superyacht design running through the Bannenberg DNA and the addition of dynamic key team members, Bannenberg & Rowell has become a perfect blend of nature and nurture. Its heritage and values remain to support its current vision; its current vision honours and advances its heritage. Here, Dickie talks about the firm’s most luxurious project, their recent return to exterior design and new yacht trends (despite being a “reluctant trendspotter”). Q: How would you sum up the Bannenberg & Rowell aesthetic? Modernist but not minimalist. Flamboyant but approachable. 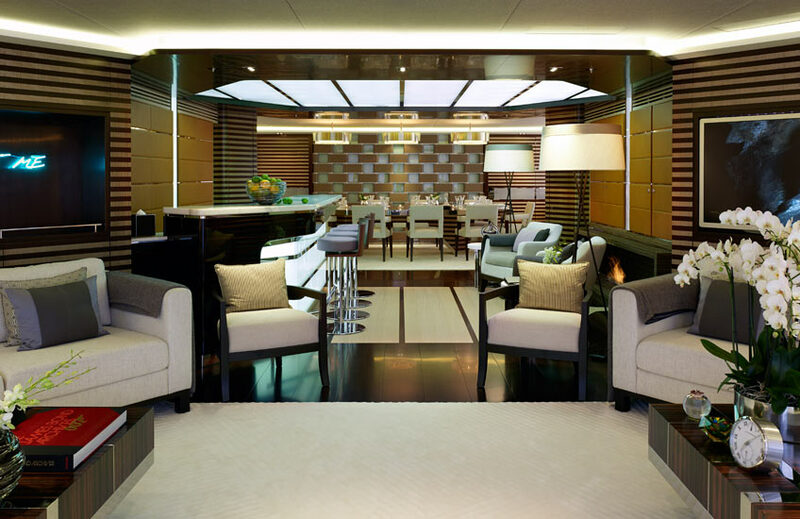 Q: You design luxury yachts, residential spaces and aircrafts interiors. How does your approach vary when dealing with these different types of project? All of these are underpinned by a common approach of rigorous and well-thought out space planning (admittedly less room for manoeuvre in the cylinder confines of an aircraft) going hand in hand with a bold and innovative approach to interior design. We are always considering how spaces relate; internally, in connection with the exterior, and with windows and key structure such as stairs and openings. The guiding principles are essentially the same – the environment alters. You still have to work with all the services and structure on every job – the available space may vary but the ground rules remain the same. Q: What has been your most luxurious project to date? 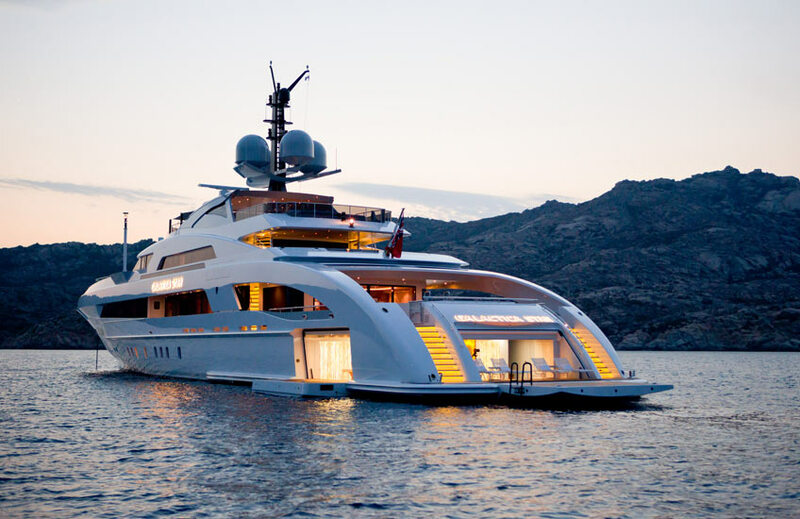 Probably our 85m motor yacht – Pacific – completed at Lurssen shipyard in Germany three or four years ago. She had about four times more interior finishes than any project we’ve done before or since, instigated by a very enthusiastic owner. It was our job to steer him towards a slightly more thinned out selection. With partial success. Q: Bannenberg & Rowell have recently completed the first exterior design project since Simon joined in 2003. Can you tell us a bit about this project? Yes! The 70m ‘Joy’ – [was] delivered about a month ago to her new owner by Feadship in Holland. She represents an important milestone for us as the first exterior from the studio since my father’s time. In fact, ‘Joy’ started off life at 62m and stretched to 70m quite early in the project – all in the forward part of the yacht which helped her proportions. She displays some of our studio thinking with regard to surfacing and detailing, as well as some innovative features like the upwards-pivoting transom door and what we call the “bomber doors” which open up on her aft deck to reveal a staircase down to the beach club/media room below. She’s drawn some very enthusiastic responses (apart from the owner loving his boat) and stands out as a very individual yacht, revealing more the closer you study her. Although she is our first exterior project to hit the water, we have developed several designs for many of the leading shipyards, concealed in the laptops and iPads of the sales team, waiting to be liberated by a new owner. Q: The world’s top marinas are filled with out-of-this world boats. How do make your yacht designs stand out in a very competitive crowd? It is a crowded and competitive field, but not necessarily distinguished by a great swathe of individuality. Absolutely there are some head-turning yachts – not always for the right reasons. Owners want individuality and, we hope, sophistication. We think that’s in all [of] our designs. 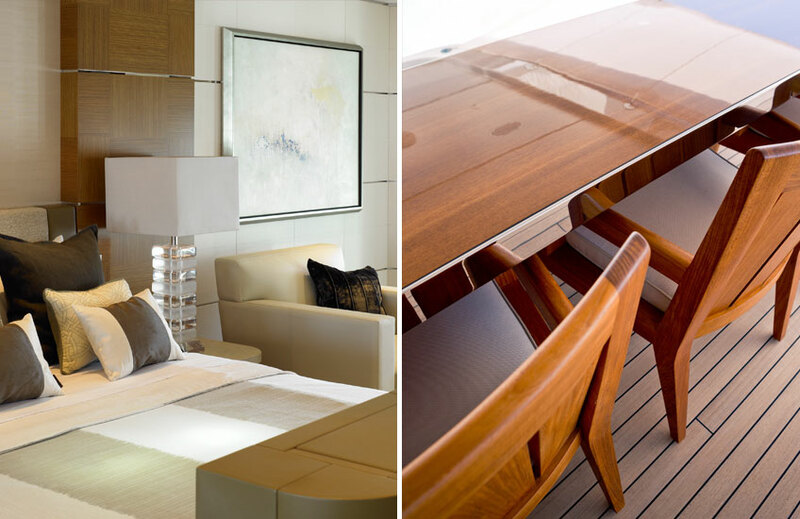 Q: What do you look for when choosing furniture and accessories for superyachts? Rather like making yacht designs stand out, you’ve got to be constantly on the lookout for new stuff. 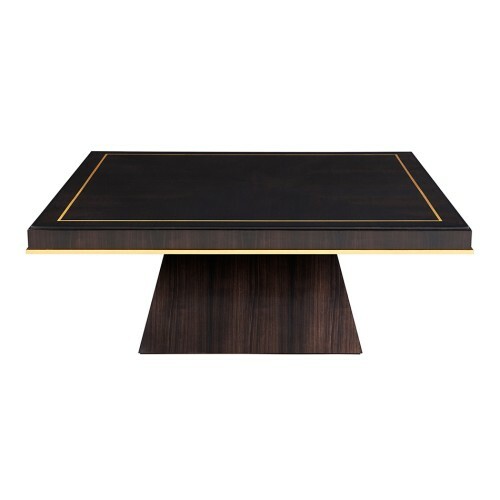 We design a lot of our own furniture – dining tables, desks, coffee tables and chairs sometimes. We work with a number of long-standing suppliers whose style, quality and reliability we value. But we often turn up new suppliers and craftsmen, including one-man bands. Q: Are you seeing any trends amongst your discerning superyacht clients at the minute? I am a notoriously reluctant trendspotter in yachting, not least because of the sheer variety of owners and their tastes. That said, there’s clearly a greater focus on the sense of connection with the sea, in the form of beach clubs, terraces, balconies etc. And glazing is becoming a more adventurous area with the structural qualities of glass being explored further and meeting the approval of classification societies. Q: There’s an element of practicality to consider when it comes to styling yachts. How do you find a balance of interior design with form and function? There’s a huge raft of functionality to consider in yacht design: the way crew accommodation and work spaces, such as galleys and pantries, function; freezer space; and laundry equipment. There can never be too much storage for crew to use, both interior and exterior. Tender launching; safe working environments for the use of mooring equipment… It’s a long list. Accommodating all this, and achieving something beautiful needn’t be mutually exclusive. 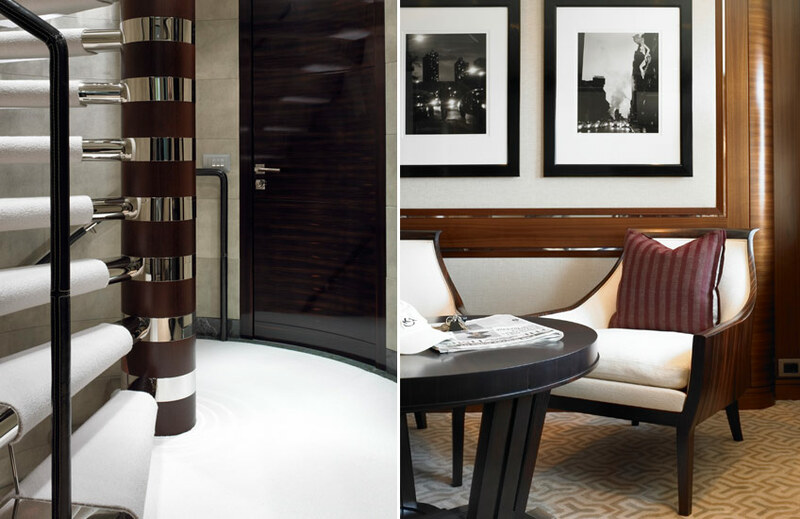 Q: The beautiful pale wood interiors you designed for the ‘Galatica Star’ stood out for us. What was the brief and how did you execute it? We were given a pretty free hand by the client. 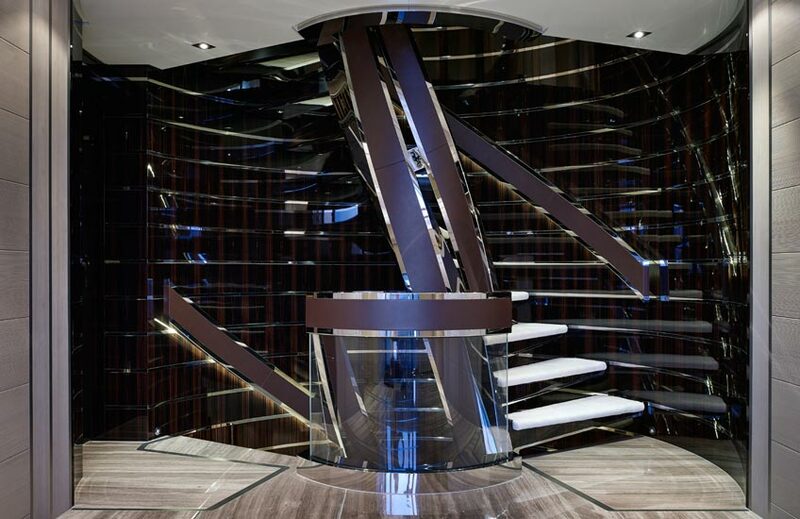 ‘Galactica Star’ has a sporty, dynamic profile and we wanted to design an interior which would complement that. 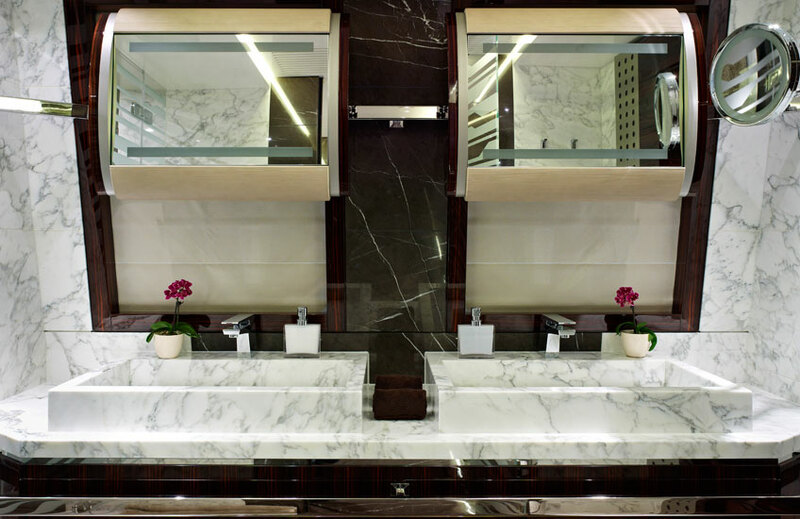 In terms of interior finishes we introduced one or two less obvious finishes. The main architectural colour scheme is made up of a combination of grey woods with a variety of finishes. 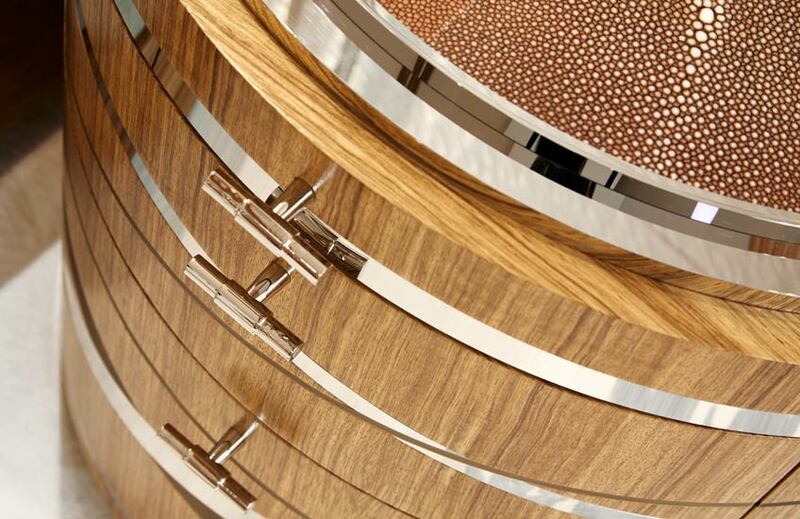 Wire brushed spruce provides a natural, fast-growing wood finish allowing the richer and more exotic ebony and wenge to act as punctuation rather than ostentation. We also took a rippled sycamore veneer and stained it to a sophisticated grey (rather than its more conventional light blond accent colour) and paired it with a dark oak, for those dramatic horizontal interior panels. We’ve introduced a pale grey finish called texalium, to achieve a high tech look, to the floating night tables and door panels. It has the look of a gloss carbon fibre but less harsh in tone. 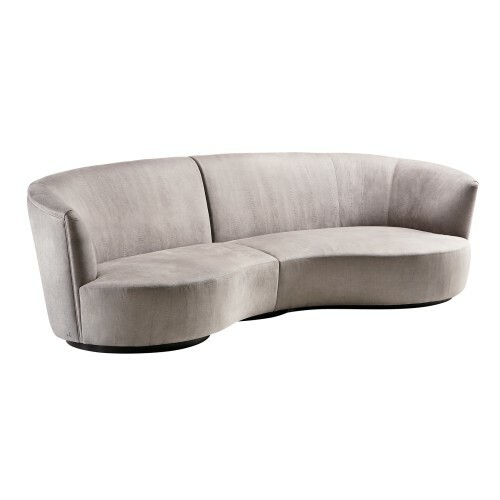 Visually this meshes well with the other finishes and provides a soft yet contemporary surface. The beach club itself is clad in a new material by Lamellux: it’s actually a combination of real wood and acrylic, which allows light to pass through, in our case in a natural vertical striated form. 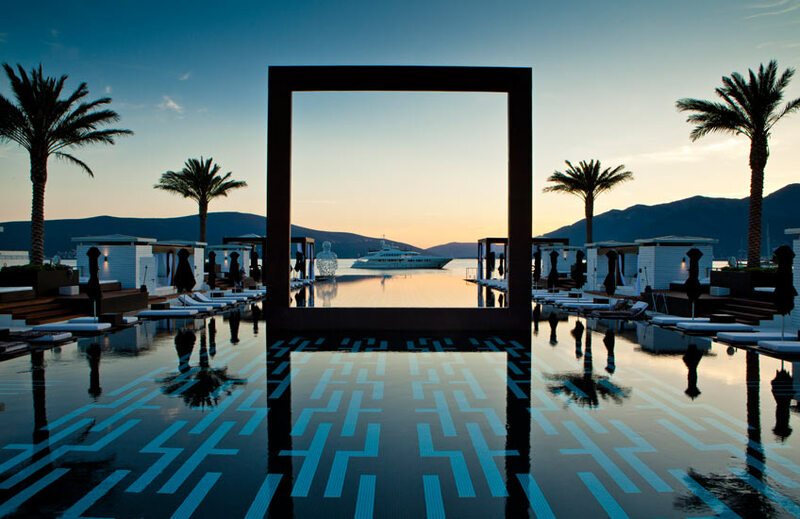 At night the entire beach club can be set to glow, using flat LED panels behind the panels to create a grass-like screen – the effect much more organic than the harder and more typical white painted or teak-clad walls one might expect in such an area. The physical and electrical engineering required to achieve these illuminated panels (including to working door faces) was a challenge, particularly in an area so open to the elements. The effect is calming and immersive. Q: Do you have any projects in the pipeline that you’re particularly excited about? We’re always excited! We’ve got quite a spread of projects in the studio at the moment. Still a core of yachts with four deliveries for 2017 between 47 and 55 metres [including] a large yacht of well over 100 metres which is extremely radical; townhouses in Oman and we are just about to start work on a very cool hotel in Dubai which will take certain members of our team back to their hotel days. The clients for both those land-based projects particularly wanted us for the yacht-based perspective we bring so I guess it’s the perfect crossover.